With a name like Danger High Voltage you would expect a new online slots game that would bend the laws of reality to its own whim, and well in short, you’d be exactly right in thinking that. Danger High Voltage is a Big Time Gaming developed slot, featuring all of the telltale signs of a Big Time title. Any slot aficionado will tell you the same thing when playing a slot like Danger High Voltage: you need to be watching out for those wild and scatter symbols, the likes of which offer more bang for your buck with the potential for additional multipliers! We will never forget our first experience when playing this slot, and neither should you if you haven’t yet had the pleasure. 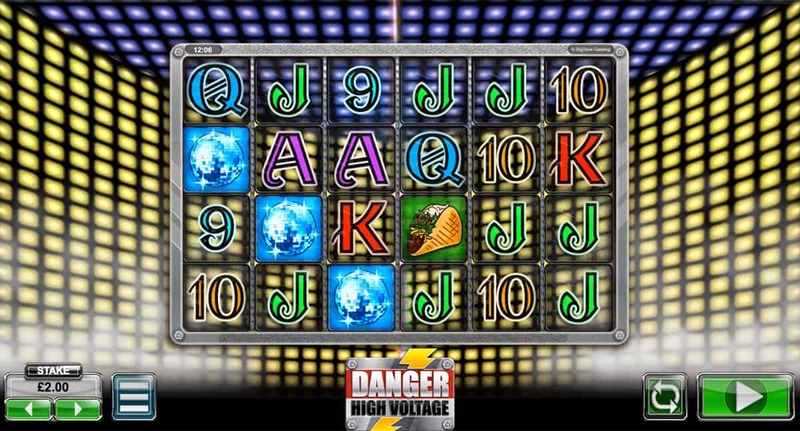 Danger High Voltage can be played on a variety of different devices, most notably being the mobile compatibility of this slot, allowing one to play this slot at anytime and anywhere! Now lets get into specifics. Big Time Gaming have clearly gone all out in crafting the best experience possible for you avid online slot players out there. Danger High Voltage is played out across a 6x4 grid, the same grid that is rife for destruction if given the right push (you’ll be doing the pushing). Destruction has never looked so beautiful, and fortuitous. In total there are up to 4000 different winning combinations here. Every spin of this slot offers something different in terms of what you’re coming out on top with. Bets can be placed from as little as 20p up to around £40, making it quite the diverse slot indeed. Get the best out of our online promotional offers before you play the game! Have you heard of Australian game dev Big Time Gaming before? Well if you haven’t maybe now’s the time to start doing your research. This dev team work on creating experiences that leave lasting effects, positive lasting effects that stick with you even after you’ve turned away from your phone or desktop. The lasting power of these guys are incredible. In-fact Big Time Gaming have a clientele that spans multiple countries and cultures, this is the power of Big Time: the ability to break down boundaries and supply slots for all of us; it’s a selfless job it seems. If you are after getting the most for your buck in Danger High Voltage, then you will be wanting to aim for the games logo symbol. This symbol grants one access into the free games round. There is a total of up to 15 free games up for grabs depending on how many scatter symbols one matches on these reels. You see, this is how one earns the free spins, they simply match scatter symbols and are immediately rewarded with a free spin in turn. 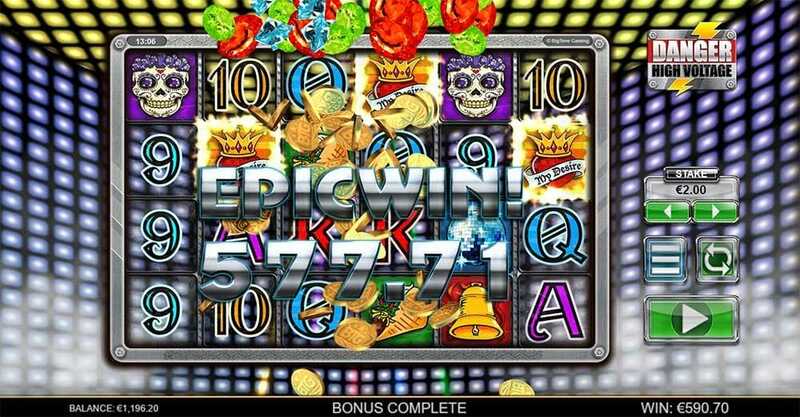 Like most online slots, the big bucks lye with the various wild symbols that you can see cascading across these reels. The wilds work in the same way they would in any other online slot: substituting certain symbols across the reels. It is of note that there is a high voltage wilds round, a round that grants players the opportunity of matching many wilds in repeat succession, so keep your eyes open for that one.